HVAC Supplies add Armcor air to-air heat exchangers to range. HVAC Supplies are pleased to announce that we are proudly the Tasmanian agent for the Armcor range of air-to-air heat exchange units. Armcor air-to-air heat exchangers are the perfect low cost solution for improving indoor air quality, reducing air-conditioning loads and operating costs, earn Green Star Credit points and are suitable for connection to BMS systems. 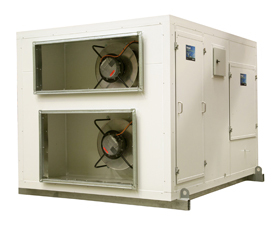 Armcor can provide ceiling units from 100 l/s to 1200 l/s with the option of DX coils, as well as a comprehensive range of roof top and plant room units made from 50mm colorbond with a range of filter and coil options. Swimming pool units are also available. Armcor heat -exchangers can also be custom made to specifically suit your project requirements. Please contact HVAC Supplies today for more information on the Armcor range of air-to-air heat-exchangers.